Computer storage devices: why do we need them? Computer storage devices are used to store huge amounts of data and information permanently. If you want any of your data kept safe and lastingly, then your choice should be these devices. Usually these kinds of devices are called secondary storage or permanent storage. When we choose storage devices, we need to understand their characteristics. 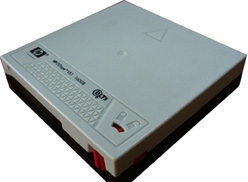 The three main characteristics of storage media are access method, capacity and portability. Access method refers to how data is accessed from storage devices. Sequential and Direct are the two kinds of methods used to access data from secondary devices. In Sequential access method, data is accessed in the order of storage. In direct access method, data is accessed directly. You don’t have to pass through in sequence to get a particular data. This dictates, direct access devices are faster than sequential access types. These types of disks are the most used direct access storage devices. Hard disks, floppy disks, and Zip disks are categorized in this group. Among these types of disks, hard disk is the popular type we find because of its capacity and portability. Mostly used to store backups, magnetic tapes are sequential access devices. Data is stored on a film like we find on video and audio cassettes. Data is read in the order of storage. So it will take time to retrieve data from this type of disk. Optical disks are another kind of direct access disks used to record data. These types of disks are mostly used for distribution of applications, movies and education materials. CDs and DVDs are grouped in this type of disks. These disks operate like the common hard disk. But have less storage space, consumes less power and data can be accessed quickly. Its ease of usage makes acceptable, however it is susceptible to virus attack and failure. You shouldn’t hold your data permanently on these types of disks; rather you should use them to hold copy files on which you are going to work now. Don’t use these disks as a temporary storage device. Virtual disks are widely implemented in large organizations. It is a technology of having files on tape cartridges that are not needed regularly but the most important data are put on hard disk. Special type of program is implemented to use this type of storage technology. Computer storage devices are a must for an individual or organization to keep data and information in a reliable and permanent way. When your computer fails to work (it can happen anytime), your files will be kept safe on secondary storage devices. That is the beauty of these devices.